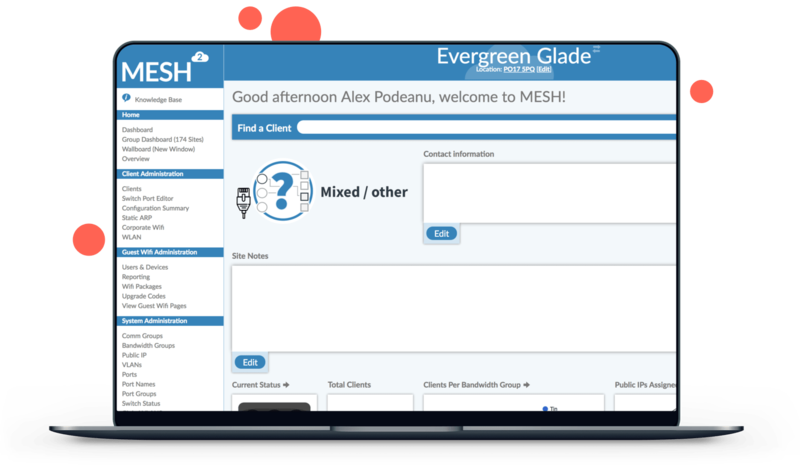 MESH is a sophisticated communications management platform hosted in the cloud for serviced office, multi-tenanted buildings and flexible workspace, providing business critical IT services to clients. MESH offers complete control of the network, internet and telephony services, with the technology and commercials that enable upselling of services creating new revenue streams and best-in-class return on investment. Saves you time by making complex IT requirements and management simple, offering a bespoke service which is easy to operate and configure. Activate or de-activate customers with a single click. Ensure clients can securely connect to their office network from anywhere on property without complexity. Ensuring their data can be seen and used by them and no-one else! We allow utilisation of existing hardware and assets with our flexible approach and wide range of product integrations. With MESH you have the ability to distribute and monetise Public IP addresses with ease, leveraging the latest technologies. Empower your clients to create push-button deployments through templates and orchestration. MESH is designed to work with MikroTik Router OS supplying a sustainable and cost effective hardware platform. MESH will automatically alert and identify customers accidentally looped to one another. Avoiding hours of technical trouble shooting and unhappy clients. 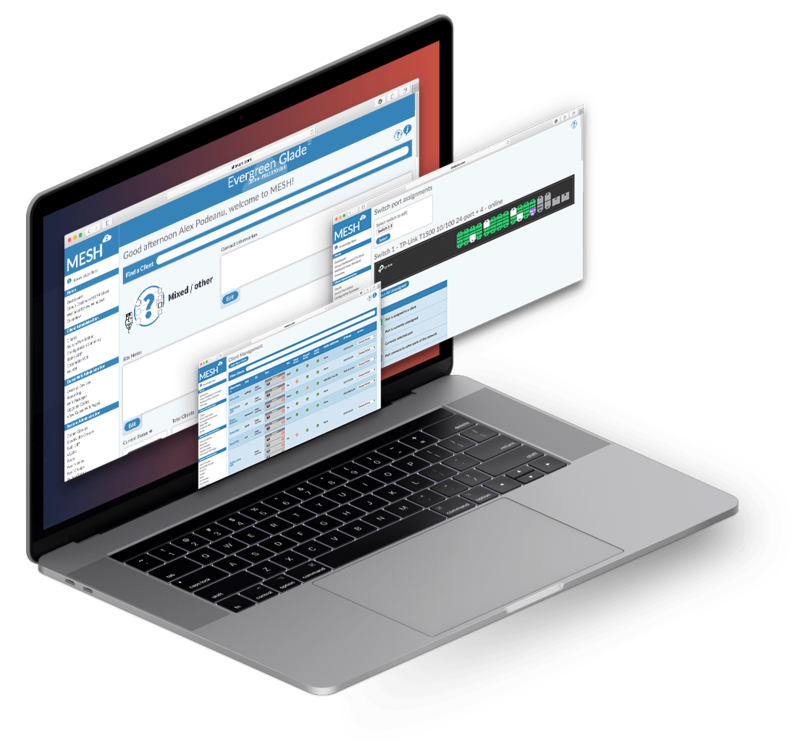 Our management technology can spot issues before they become true outages allowing you (with alert functionality) to monitor all critical on-site devices and connectivity in a nonintrusive manner, therefore pay for itself with a single instance of an averted problem! In the event of an outage, have peace of mind knowing that there is full support available from our dedicated helpdesk team. Monitor bandwidth consumption by total usage, client usage or bandwidth group. Are you paying too much and who are your heaviest users. Once you have recovered the capital investment it’s up to you what to do with the profit. Did we convince you already? Contact us to find out about the benefits of using Mojo to manage your telecoms and IT. Or if you’d like a little more knowledge on how to get the best out of Mesh contact us to arrange some training. If you’re already a user you can login right now.